UPPAbaby's newly designed Rumble Seat can go forward facing, rear facing and recline – it’s the multitasking stroller seat you have only dreamed of. While one child is enjoying a snack, the other can be enjoying a catnap. 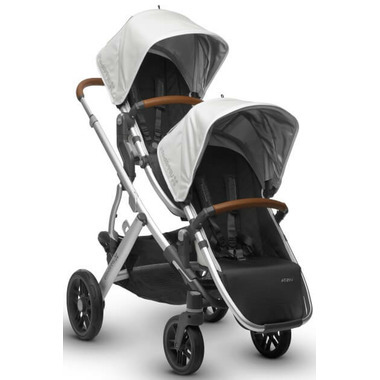 Your family has multiple needs, and your Vista Stroller has the flexibility and comfort to take them on the road in style – all while strolling like a single. Please Note: this item is the Vista Rumble Seat only. 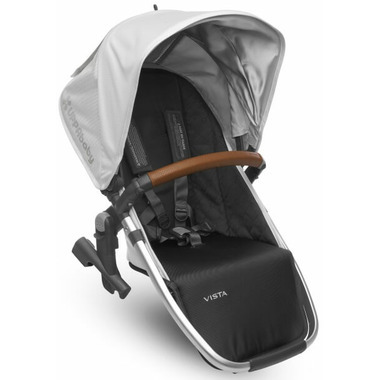 The UPPAbaby Vista Stroller is sold separately.